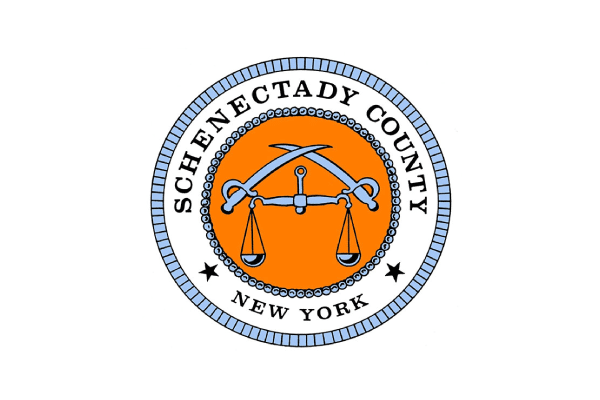 Schenectady County, N.Y. — The Schenectady County Legislature and local municipal leaders today unveiled final plans for the Schenectady County Solar Energy Consortium. The plan includes nine solar farms on municipal-owned properties that will produce 32 million kWh of electricity in year one. The solar farms will be built by General Electric at no cost to taxpayers. The County Solar Energy Consortium grew out of the County-Wide Shared Services Property Tax Savings Plan required by the 2017-2018 New York State budget. The tax savings plan was unanimously approved by the County and each of the eight county municipalities in August of 2017. As part of the shared-services plan, each municipal land owner volunteered potential sites to be evaluated as part of the solar consortium RFP process. The County Legislature has committed itself to reaching 100 percent energy independence by December 31, 2020 and assisting our local municipalities reach this goal by December 31, 2021. Schenectady County currently has numerous solar projects producing nearly 5mW of power annually, enough to power approximately sixty percent of all County facilities. Projects include solar farms on Hetcheltown Road in Glenville, Hillside Business Park in Niskayuna, and Burdeck Street and Wedgewood Heights Solar Farm in Rotterdam, along with roof top solar installations at the County Recreation Center and Ice Rink, highway garage, Rotterdam Branch Library, Phyllis Bornt Branch Library and Literacy Center, and the Schenectady County Business Center.